Lead-acid car batteries used to be the norm, but luckily we’re seeing a massive shift towards more efficient and environmentally friendly alternatives like lithium-ion. Still, there are fleets of hundreds of millions of cars that still employ these archaic and toxic batteries. Typically, manufacturers try to have car owners bring their old lead-acid batteries, which are then converted into more environmentally friendly new batteries. The vast majority of them go into landfills, tough. Researchers at MIT present a remarkable alternative: using old car batteries to power a new generation of dirt cheap and efficient solar cells, based on perovskite. One single used battery could be employed as a prime material for solar cells that could power up to 30 homes. “Perovskite” is a general term used to describe a group of materials that have a distinctive crystal structure of cuboid and diamond shapes. In the past few years, researchers have demonstrated that solar cells that use this wonder mineral can reach a solar energy conversion efficiency of up to 19%, comparable to silicon tech that’s somewhere between 21% and 25%. There are some significant differences; perovskite efficiency has only recently crossed the single-digit efficiency margin (they’ve only been investigated for their solar energy potential, seriously at least, only in the last decade, while silicon has been around for more than 30 years), and there’s good reason to think this can be increased. Secondly, manufacturing perovskite solar cells is a whole lot easier energy-wise than the silicon-based variety, not requiring nearly the same temperatures and pressure. A new research by engineers at MIT suggests that perovskite solar cells can be manufactured efficiently using recycled lead, giving old car batteries as an example of a prime feedstock. So, instead of adding more lead to the environment, potentially poisoning the soil and plants, the material could be recycled from one solar cell to another in much the same way that car batteries continue to use it from generation to generation. Because the solar cells are very thin, only a small fraction of the lead that comprises of an old car battery would be used. 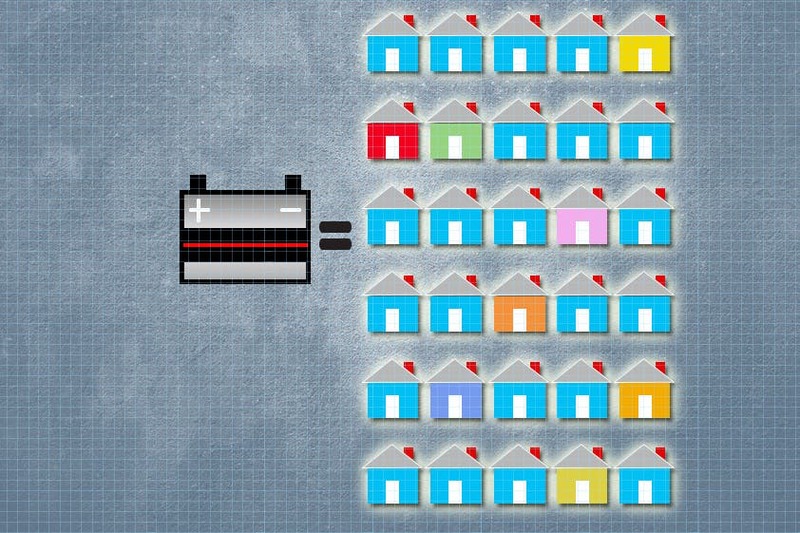 In fact, one such battery could funnel enough lead to make solar panel that power 30 homes. The findings appeared in the journal Energy and Environmental Science. The video below details the MIT process.